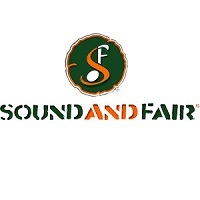 Sound and Fair Tanzania Ltd is a wood processing company producing timber and wooden products for the Tanzanian and international markets. The company supports the sustainable management of Tanzania's forests through the purchase of logs from FSC certified Village Land Forests Reserves and provides development revenue for village communities. The successful applicant will be responsible for the overall financial management and administration of the company, reporting directly to the Managing Director. They will be based in Kilwa Masoko, Lindi Region and will be responsible for managing an Administration Assistant in Kilwa Masoko and the activities of various managers and supervisors at the company's sawmill in Nanjirinji Village. Manage the financial aspects of sawmill operations from log sourcing, wood production, logistics and exportation; develop financial and administrative procedures to ensure cost effective and resource efficient day-to-day operations; implement company policies; payroll management; manage employee issues or grievances; accounting of staff expenses and transactions; ensure duties and taxes are paid on time to TRA; represent the company in dealing with TRA and other institutional stakeholders; manage the budget and ensure strict cost control across all aspects of the business; set targets for managers and supervisors and motivate them to achieve and exceed; preparation of management accounts and financial statements; liaison with company accountants, auditors and financial advisors; manage financial reporting requirements internally and externally. At least 3 years experience in accounting and administration, ideally in a manufacturing or processing industry of a multinational company. The successful applicant will be a commercially aware result oriented person with a natural ability to build and maintain relationships at all levels across the business. A holder of a CPA or ACCA C. qualification and a degree in finance or accounts related studies. Deadline for submission is 16th March 2018 at 17:30 Hrs .